"If we can't twitter, we don't exist!!!" Our friend Susie Linquist is the cream of the crop out in San Diego, CA. She did a little work on my Header picture at the top of the blog. Did you notice?? Thanks Susie it looks great! SO THE RACE WAS ON! The day they get back from vacation Missy and Tara (the lucky ladies) are PREGO! They both cheated and started early! Ha! This is really going to be a close race! So CONGRATS! to the parents and new babies, all are doing great. What a great story, can't wait until the look on Natalia's and Gabe's face when they tell them how this all went down. Here is a picture of the two below. Here is a great tool that was passed along to me, when you want to meet up with someone but don't want to drive all the way over there! Go check it out and use it! ATTENTION: We have a new addition to the Collard family. 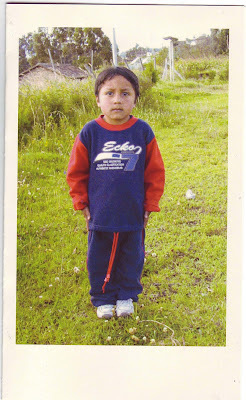 Kate and I decided to sponsored a boy in Ecuador through Compassion International. Our church did a special a few Sundays back and we really felt moved to reach out and help. His name is Kevin Ivan Farinango! He is 5 years old and loves soccer. Typical houses in Kevin's area are constructed of dirt floors, brick walls and tile roofs. The most commonly spoken language is Spanish. The regional diet consists of maize, beans, rice and potatoes. Common health problems in this area include malnutrition, parasites, diarrhea and respiratory diseases. Most adults work as day laborers and earn the equivalent of $100 per month. This community needs vocational training, educational resources and permanent jobs. Our sponsorship allows the staff of Carita Feliz Student Center to provide Kevin with Bible teaching, medical exams, health instruction, nutritious meals, recreational activities, vocational courses and academic support. In addition, non-schooled children are provided with preschool classes. 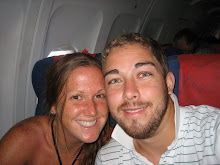 The center staff will also provide parent's school, evangelism and medication for the parents of Kevin. I would encourage everyone to sponsor a child and give them hope! Sorry to all of you checking this blog and not getting any updates! I have really fallen behind on this site, and am now dedicating myself to getting back on track! We have had so much going on the past few months, I don't even know where to start. Katie got a new job, I was in Atlanta and St. Louis, I had a awesome birthday, our friends have had a baby, our other friends are about to have a baby, we've been to a bunch of kids birthday parties, Braily was sick, I was sick, Braily goes on the potty, my brother and sister in law in Atlanta are preggo, Katie looks delicious, we did our taxes, you get the idea! So I'm starting with a few pictures of the girls, so you can see how much they have changed since the last time you saw them. Jayla is just about 5 months now, which puts Braily at 19 months, crazy how these girls are so close in age and look nothing like one another. For some reason this looks like a mug shot! Look at all those freaking ponytails!